How can I integrate a TV into my bedroom? So your bedroom décor is everything that you dreamed it would be, from the colour, to the space and even the layout, and it’s a great spot to just unwind and relax. However, you seem to have forgotten an important factor… where to put the TV? There’s nothing quite as relaxing as lounging on your bed after a hard week of work and catching up on your favourite TV shows, whether it be that guilty pleasure of the Kardashians or your favourite movie, we all need that down time. In this edition of homify, we look at some fantastic ways to incorporate your TV in the bedroom without distracting from the décor, colour scheme and even layout of the room. 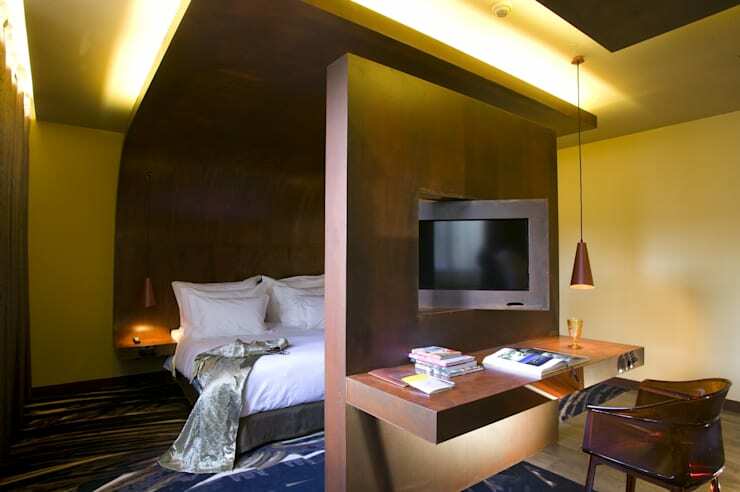 Gone are the days when a bulky TV messed up your simple and minimalist bedroom experience! These ideas are practically perfect, let’s see why. By fixing your TV to the wall, you solve the major problem of space, while also having the perfect vantage point to enjoy your favourite TV show from the comfort of your bed. 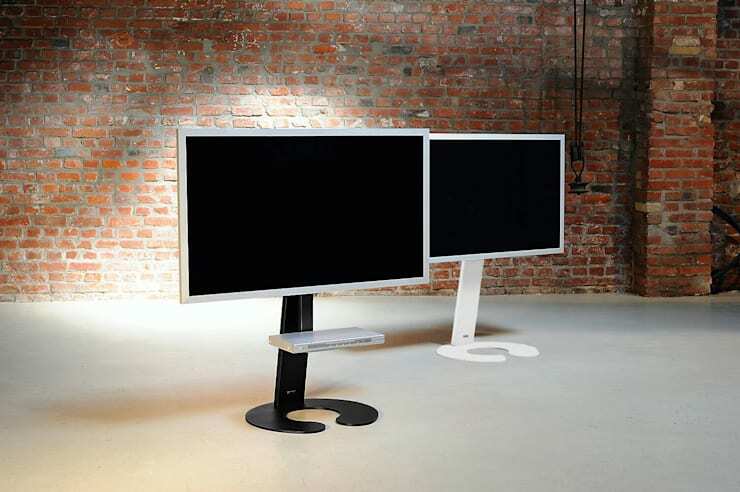 Plasma screens are amazing, as they don’t take up much space and fit well in a minimalist décor. homify Hint: choose a deeper colour paint for the wall behind your TV, in order to minimise the contrast with the screen. You don’t have to have a bulky TV cabinet at the edge of your bed, opt for an extreme element of décor and go for a remote controlled TV unit that pops out of a slim storage space. 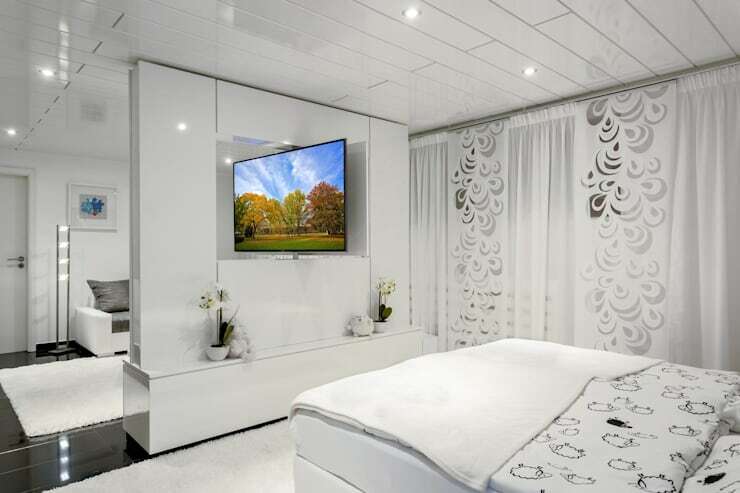 The flat screen is perfect, and you may want to contact a professional carpenter to get one fitted for your bedroom. If you like the idea of having more free space at ground level, then you might want to consider fixing your TV to the ceiling. While this décor idea may not be different, it certainly has a stylish effect on the bedroom décor. All you have to do is sit back and relax, surrounded by pillows, perhaps loved ones and even your pets. Doesn’t that sound just dreamy? A TV is a great way to enjoy alone time, but if you aren’t one for TV, then you may want to consider hiding your TV in the closet. This built-in storage space is amazing, allowing you to close the doors and keep your TV out of sight every day, while being easily accessible for that odd day when you want to indulge. This is a great idea, especially for that studio apartment. 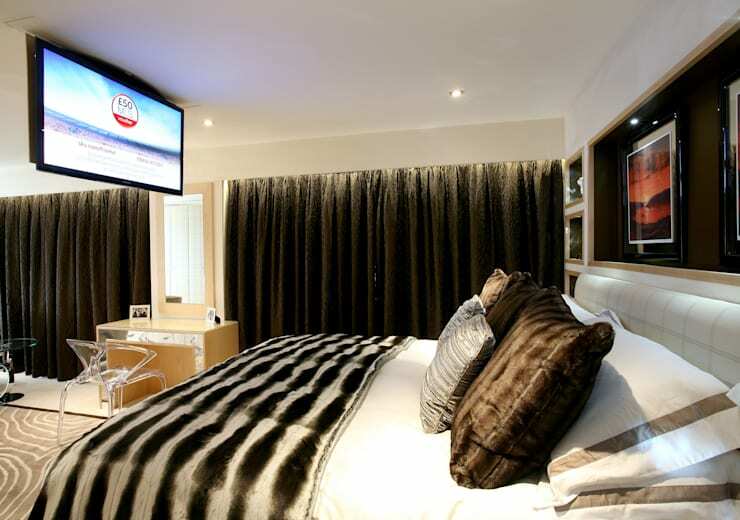 It allows you to enjoy the TV from your bed or the sofa, without needing a second TV! Stay on top of the latest news while enjoying your newspaper and morning coffee, or simply swivel the TV for that late night TV show you enjoy from the comfort of your bedroom. 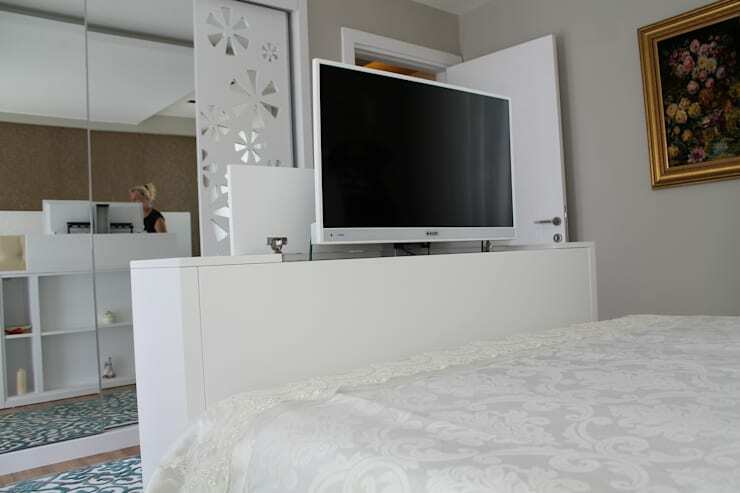 This TV is a décor factor all on its own, just move it to any part of the room or home that you like, its lightweight design makes it easy to move, while the sleek stand even makes it a fantastic choice for the edge of your bed. These 7 tips to maximise your small bedroom space could be useful too. What do you think about a TV in the bedroom?